On this date in 2004, the British Phonographic Industry (BPI) honored Duran Duran the at their February Awards show, The Brits, with the Outstanding Contribution to Music Award. If you haven’t seen the video for this, it is a must. I admit to loving this clip. First of all, I’m a total sucker for the montage of Duran’s career. It shows how much awesomeness Duran has been responsible for. Then, I appreciated how each band member had something to say to acknowledge those people who helped them be as successful as possible. I remember seeing this video in 2004 and just feeling proud. The pride was for being a fan of this band for so long at the same time I was so excited about what was about to come with this reunion. More than that, I loved seeing the band get the kudos that they had been deserving but never got. Many fans who have been around a long time are aware that Duran Duran has always had a lot of criticism. Much of that criticism seemed to center around the fact that they had keyboards, cared about their fashion and wore make-up and/or had a lot of teenage fans. I rarely saw Duran get awards as a kid in the 1980s. I know that they received a couple of Grammy’s for their videos but that is about it. More often, I found myself trying to defend them or ignoring public criticism. Sometimes, I wonder how they survived hearing/reading all of those negatives. I know how hard it is to ignore criticism directed towards you. In my experience, it often seeps in and hurts even when you know that the criticism is unfair or wrong. As a blogger, I have definitely experienced my fair share of negative comments. As a teacher, I deal with it a lot and more this year than previous years. For example, I have had a lot of criticism that my students are not performing as well as they should. I know that I have done a lot to help my students learn and achieve the best they can. Thus, this is a concern that I shouldn’t take to heart but I, too, often do. Typically, I respond with defensiveness and frustration. This is why any sort of validation means a lot to me. Last week, one of the assistant principals came to observe me. Her review was glowing. I needed that. It doesn’t erase all the negative assumptions but it helps. 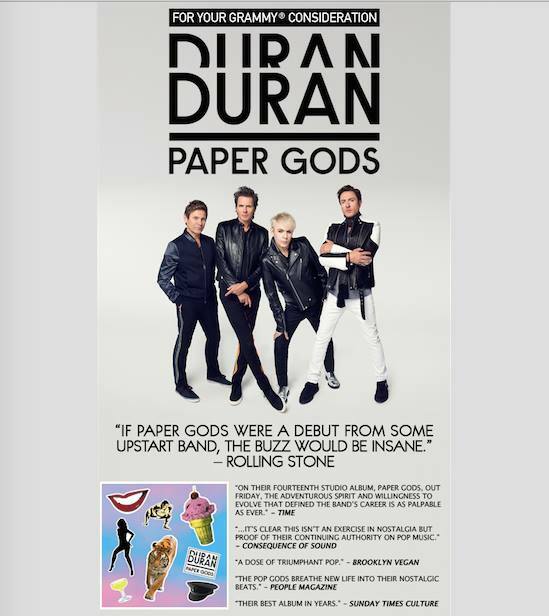 I have to think awards like this help overcome the rough treatment Duran had experienced throughout the band’s career. Perhaps, the fact that it was such a significant award really helped. I know that awards shouldn’t be needed and they don’t, but that validation can really help. And why shouldn’t they or me receive that type of acknowledgement? Doesn’t everyone deserve recognition of a job well-done? I sure think so. A November Duran Duran Update! A few things have happened in the past week that we haven’t really covered yet – so here’s the DD update! Late last week, Duran Duran was presented with the ASCAP Golden Key Award for songwriting. Simon, Nick and Roger were present for the awards (John Taylor was presumably in LA at his home) at One Embankment. Receiving such an award is a massive achievement and they join the ranks with other past recipients such as Alicia Keys, Stevie Wonder and Elton John. To fans, however, this is no surprise. We fell in love with songs like Rio and Hungry Like the Wolf but their talent goes well beyond their hits. Songs like The Chauffeur, Secret Oktober, Palomino, Land, Still Breathing, Planet Roaring and so on, are all perfect examples of why the band is so deserving of being recognized by ASCAP. In other award news, Duran Duran did not win the EMA for Best Live Stage, despite the best efforts of fans worldwide taking their time to vote. Martin Garrix was this year’s winner…but in our eyes, Duran Duran should have won hands down! The Fab Five lives on….this time, as members in a lawsuit over US copyrights. (Do you ever get the feeling that the band will never, ever, be fully rid of one another? It’s like a marriage with children…you can end the marriage, but the kids are the ties that bind. No matter what!) That’s right, Andy Taylor is once again involved with the band, but only because of a lawsuit against Gloucester Place, part of EMI Music Publishing, which is owned by Sony/ATV – a US company. This is where copyright law gets complicated. The copyright agreements are with Gloucester Place, and the band served that company notices terminating the grant of US copyrights to Duran Duran works (“works” is a term used quite frequently in entertainment law. The basic meaning is anything the band produces.) Gloucester Plan is asking the High Court (of the UK) to declare that the members have breached their music publishing agreement. The band, on the other hand, is using US law, where songwriters have an “inalienable right” to call for a reversion to their copyright after 35 years (as an aside – this is where I sit back and ask myself, “Has it really been that long?”). Nick Rhodes explains, “This provision was instigated to help rebalance the often unfair deals which artists sign early in their careers when they have little choice to try to get their first break, with no negotiating power and virtually no understanding of what their copyrights really mean for the future.” When the band requested the reversion back in 2014, they considered it a mere formality, until Sony (it always comes back to Sony somehow, doesn’t it?? They can’t seem to be rid of Sony either.) decided to challenge their right, calling it a contractual technicality. According to Ian Mill, the Queen’s Counsel for Gloucester Place, the terms of the writer’s contracts were that they would not “seek to obtain a reversion of their copyrights” under the US copyright law and that they would be in “breach of contract should they do so”. Since the agreements were made in 1980 – the agreements were made with the band members personally and are referred to as “the writers” – including Andy Taylor. Only Simon, Nick and Roger appeared in court, however. Ultimately, this implication of this decision goes well-beyond the likes of Duran Duran. Many of our favorite bands of this same period (and beyond) would likely face similar fights in court. Any publisher who chooses to fight the protective measures of the US copyright law would find a home for themselves in the UK and set up shop there. I’ll be interested to see where this lawsuit goes from here. All in all, an interesting update for this time of year. Duran Duran was nominated for the MTV EMA’s! Those aren’t words I get to type every day, which makes this post especially fun. No, awards don’t necessarily matter, nor do critics or poor reviews, but it’s nice to see the band review a few accolades every now and then. Duran Duran is nominated for Best World Stage. I looked this up because I wasn’t sure what the heck it meant, but then I remembered – the World Stage concert in the Piazza Del Duomo last year in Milan. Ah, yes. I think this is something we can get behind. First of all, let’s refresh our memory. I mean….to be fair about this voting thing we should at least remind ourselves, right??? It’s our due diligence! I remember this show not because it was MTV…but because the setting was fabulous, and the band seemed like they were on fire. I remember seeing photos of the Piazza during the day and then that night. Stunning. Then the band came on stage and the Piazza was electrified. Shows like that are hard to top, no doubt. At the time, I remember thinking that they’d been cheated out of performing on the actual show itself. Another show of music industry age-ism, no doubt. In hindsight though, I think they had the better deal, playing for fans in the middle of that beautiful setting. And, let’s face it, being nominated for an EMA isn’t a terrible payoff either. But now, we have work to do, Duranies, if we want to see them actually win. We have to vote. A lot. 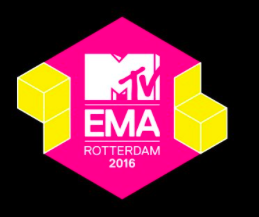 Here is the link to vote for Duran Duran to win Best World Stage at this year’s MTV EMA’s. Just click on the picture and it’ll take you to the website! Now, I know many fans will scoff and say awards don’t matter, or that MTV doesn’t even play videos anymore…or that no one in the audience will even know who Duran Duran is, or better yet, that setting up and encouraging multiple votes lacks honesty and integrity. Not with that attitude! It takes about two seconds and two clicks to vote for a band that we all love, and at the same time we are helping expose them to an international audience that might not know them as well as we do. Besides, it’s cool to see them get an award for something that we already know: They are amazing live and put on one hell of a good show. Supporting that is easy. Now go do it. Many, many times! Isn’t It Time for a Grammy?!? I could pretty much just leave the blog right like this today and be dead on with the message…and the first (and largest) quote from Rolling Stone says it all. If there were ever an album that truly DESERVED a Grammy this year, it’s Paper Gods. I write that with reasoning in two-fold. For one, this is NOT a debut, upstart band. This is a band that has been working for the past thirty-seven years, and this album isn’t a throwback to everything else they’ve ever done. Not by a long shot. Duran Duran has done what very few other bands have ever been able to do, and that is breathing new life into their career as they finish out their fourth decade in music. That alone should earn them a Grammy nod. On the other hand, the “fandom” hand that I hold near to my heart that is full of emotion – isn’t it time this band receives some acknowledgment for their music?!? Yeah, they’ve gotten themselves a few “Lifetime achievement” awards for style or videos, and hey those are fantastic. WHAT ABOUT THE MUSIC?!? I know what Duran Duran would say here. They would graciously say that they don’t need that kind of validation, and every single time they see one of us – the fans – scream for them, or comment on how much this band has meant to us over the years, it validates them. Good. I’m glad that the band feels that way, and before I say what needs to be said on behalf of the fans out there – I want them to know that I appreciate that they TELL us how much we mean to them. The little things matter. And we fans do love them. Fans do not stick around for decades supporting a band they don’t like much, and they sure as hell don’t write blogs, plan conventions, and/or travel specifically to see them, either. The fans say it’s OUR turn. WE want that validation for them. I know I’m not alone when I say that I want to see Duran Duran up on that damn stage, earning their Grammy for the talent, expertise, innovation and devotion they’ve given their music over the years. Paper Gods proves all of that. I can answer that: it’s because we’ve spent the better part of our lives defending them. We’re supremely loyal because we’ve had to be – and it’s not just about defending their good graces – it’s been about defending our own. I cannot tell any of you how many times I had kids laugh back in school when I’d triumphantly name Duran Duran as my favorite band. I’m sure most of you have similar tales to tell. I think to a certain degree it hardened me, because I’d glare in reply with a steely gaze, and then flatten them with some basic facts about the band and what they’d accomplished. Sadly, not much has changed over the years. 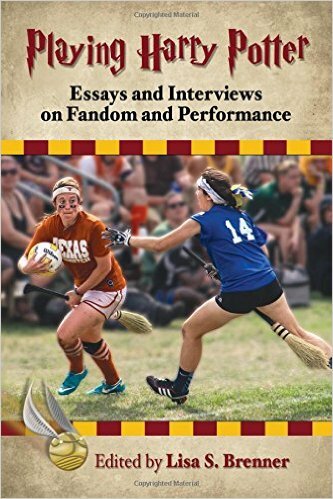 To this day I have neighbors who look at me comically when they ask what I do – and yeah, it can sometimes be tough to choke down the whole “You write a fan blog? ?” comments. I hate it, actually. So yes, I want to see this band win. You can bet, should that day come – I will feel as victorious as I might if I was bringing home the award myself. I have no doubt that every other fan out there feels similar. Duran Duran deserves their moment. I know damn right well that they’re better than M.A.N.Y. of the other bands and performers out there that pick up Grammy’s every single year like it’s no big deal. They thank their managers and producers, most of the time forgetting about the fans that bought their album to begin with, and try to manage not looking like complete assholes (some of the time) as they grab their umpteenth trophy and walk off stage. Once again: IT. IS. TIME. It’s time to recognize that Duran Duran has outlived much of the unfounded criticism that has relentlessly followed them throughout their career, much in part due to people like me. Fan Girls. Don’t get me wrong, I roll my eyes in complete disgust at that comment, particularly because it’s made by people who know precious little about music, much of the time. Huge, sweeping generalizations were made by critics out there because you know – if young girls happened to like the band, obviously that must have meant they weren’t very good. Today’s Duran Duran history takes us back 4 years to 2011 when John and Simon presented an award at the Brit Awards. These awards took place in London at the O2 Arena and it aired at 8 pm on ITV1 (UK). Today’s Duran Duran history takes us back to the Notorious era of 1986 when Duran Duran received an award at the Diamond Awards Festival in Antwerp, Belgium. I’m not sure what the award was specifically for and from what I read, this was the first year of these awards. While there at the awards ceremony, the band also performed (lip-synched) the songs, “Notorious” and “Vertigo”.